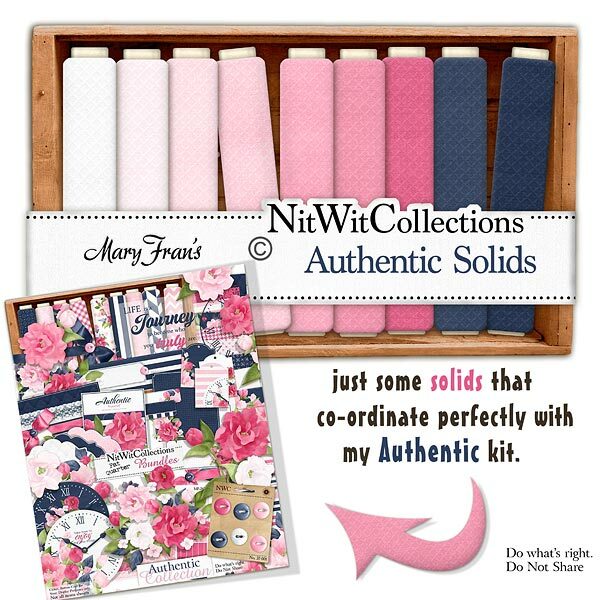 "Authentic" Solids furnish you with the solidly coloured background papers that are the perfect addition to create your scrapbook layouts, cards, mini albums and other craft projects. Get the perfect colour results with these papers! These digital papers are NOT included in the FQB "Authentic" Collection so please don't miss out!